In the U.S. there are only 219 certified female neurosurgeons, according to American Board of Neurological Surgery (ABNS) statistics. We are lucky enough to have two: Drs. Gwyneth Hughes (left) and Tsulee Chen. As an undergraduate student at the University of Rochester, Tsulee Chen intended to become an astronaut via aeronautical engineering, but she didn’t like all the physics classes. “I have a friend who jokes that I started out as a rocket scientist but became a brain surgeon,” Dr. Chen said. Because her brother has epilepsy, she had an interest in neuroscience and neurological disease. Since she likes to be hands-on, neurosurgery was a perfect fit. 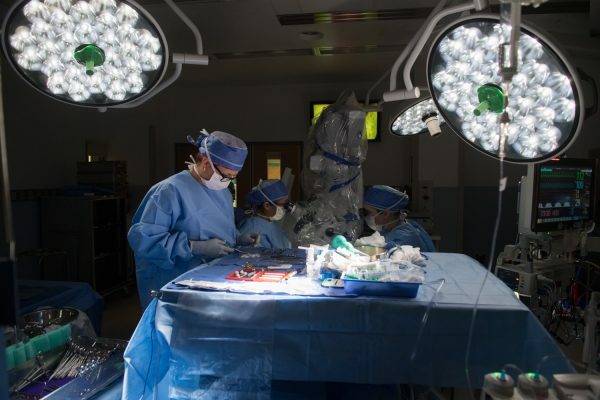 “With pediatric neurosurgery, you get to do everything, so that was also appealing,” she said. Dr. Chen joined Akron Children’s in 2012 where she saw the opportunity to be part of a growing practice in a growing institution. 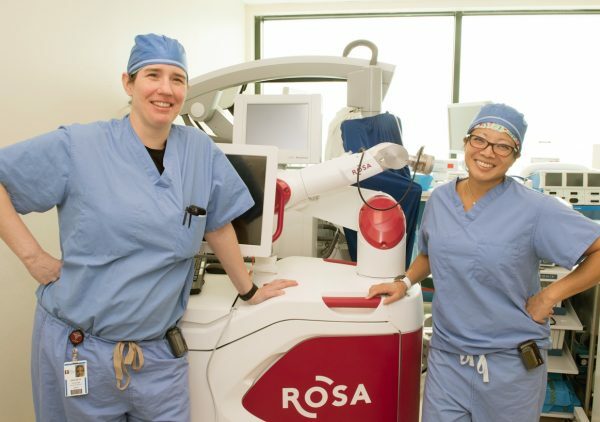 She also appreciates the support of hospital leadership to keep the practice moving forward, including acquiring advanced technology like ROSA, a robotic neurosurgical assistant used in epilepsy surgery. 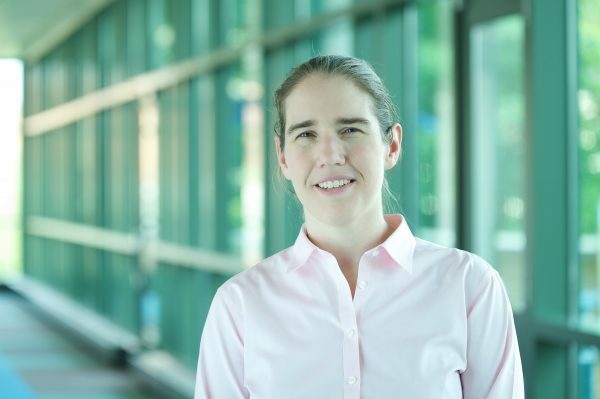 For Dr. Gwyneth Hughes, the path to becoming a pediatric neurosurgeon was a bit different. She was an EMT and paramedic who planned to go into emergency medicine. They scrub for surgery together. 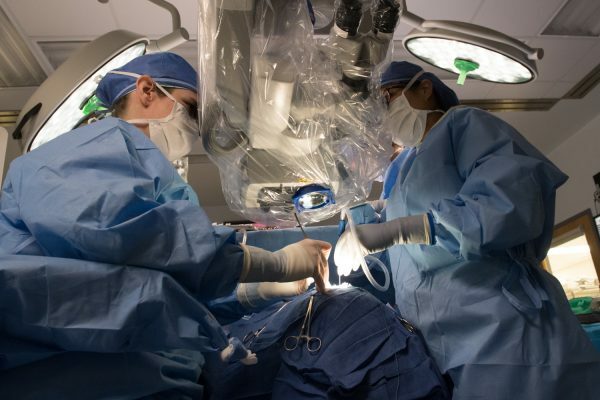 Just 1 in 20 neurosurgeons is a woman. She attended medical school at Case Western Reserve University and completed a neurosurgery rotation at MetroHealth. 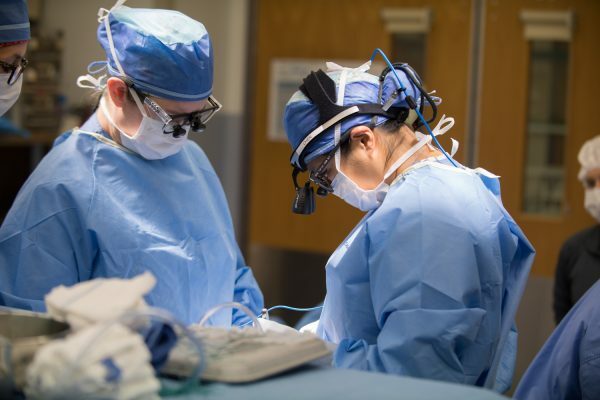 Both physicians are dual fellowship-trained, having completed pediatric neurosurgery fellowships at Children’s Hospital of Philadelphia and epilepsy surgery fellowships at the Cleveland Clinic. Dr. Hughes joined Akron Children’s in 2014 where the prospect of working in a freestanding pediatric hospital appealed to her. She already knew she and Dr. Chen worked well together. An Army reservist, Dr. Hughes was deployed to Germany for 4 months shortly after joining Akron Children’s. She continues to serve as a reservist, but as a child, she dreamed of becoming a fighter pilot. Unfortunately, those hopes were dashed when she had to get glasses in the 3rd grade. While she may seem like an adventure-seeker, she considers herself to be more of a homebody. When she takes time off, she’s more likely to go to the library to check out a stack of books for the week, while Dr. Chen is often heading to an exotic locale to scuba dive. 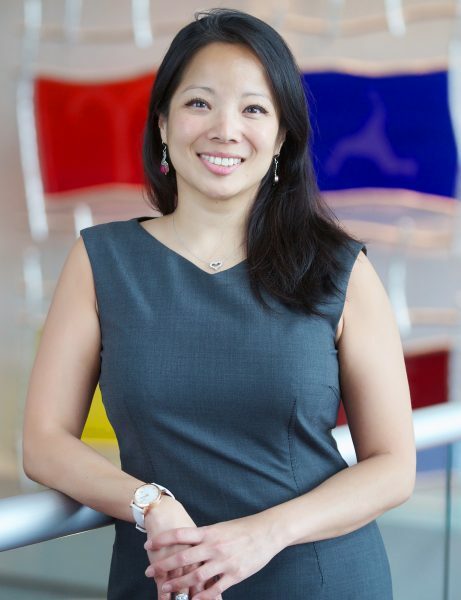 Since she grew up in Maryland and attended medical school in Baltimore, Dr. Chen is also a huge Washington Redskins fan. 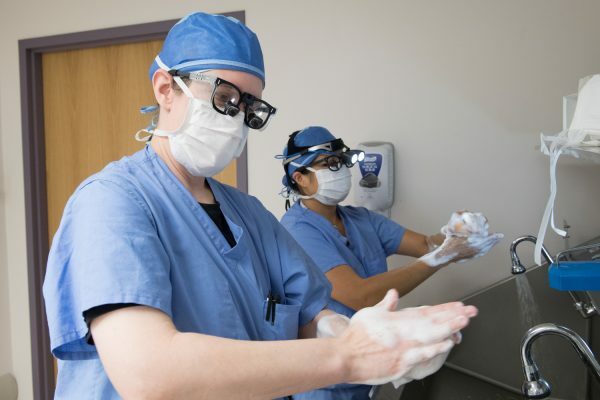 While they each have their own ways to decompress, they find their work very rewarding, especially when they can save a child who’s suffered a serious trauma or improve a patient’s quality of life.